Spice up your life with Salsa Viva Dance! Salsa Viva Dance Studio offers quality lessons in street Latin dance styles popular in Latin America, the Caribbean and beyond, ranging from Cuban Salsa and Son to Merengue, Bachata Mambo, Cha Cha and more. Along with significant health benefits, dancing also boosts confidence and self-esteem especially in social situations. 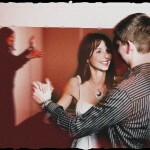 Latin dancing is also lots of fun, relaxing, and a great way to meet new people. While Salsa is sometimes used to describe a number of Latin dances, it specifically refers to a dance style developed by Puerto Rican and Cuban immigrants to New York in the ’60s and ’70s with music based on traditional Afro-Cuban songs and embellished with brass and percussion instruments. Salsa Viva Dance Studio’s lead instructors have international teaching experience – backed by degree qualifications – in Cuban Salsa and a wide range of other Latin dance styles. Classes range from individual tuition to wedding parties and larger practice groups. We also perform at live events for charity fundraisers, corporate events, parties and more. Salsa Viva Dance Studio is also Perth’s original Zumba® school, with proprietor Cindy Calderón learning from Zumba® Founder, Beto Perez in 2008. “Great dancers are not great because of their technique, they are great because of their passion. To learn to dance by practicing dancing or to learn to live by practicing living, the principles are the same.” – Martha Graham. CLOSED on Sunday’s and Public Holidays, unless stated otherwise.